Culinary influences come in many different forms and sometimes it takes the lens of time to focus all the different influences that make us who we are. I must say that I can draw on a variety of influences that have stimulated my interest and imagination over the years when it comes to food as a child. All the different influences have also stimulated my desire to travel and experience food in authentic settings as well, and, of course, that means meeting the people that make the magic in the kitchen. I’d like to share one of my earliest experiences of Italian influence in my life. Our normal family meals were American farm fare, simple and tasty as my mother took great pride in her cooking and it showed. My father was her most enthusiastic fan of her accomplished standards but he wasn't her only admirer. When we found ourselves in a new community with different foods on offer, my Mom was game to try some of these new tastes. I still remember the first time we had spaghetti with red sauce. It was new and exciting and a big deal. It was just the beginning of Mom venturing out into the culinary world of ethnic foods and meandering away from our familiar farm fare. When we came to live in a particular small town in southern Illinois, I was young with 2 of my 3 older brothers already in high school. Somewhere along the way my middle brother Jim, started dating Nancy and eventually fell madly in love and after their college graduation, were married. Nancy’s families brought along intriguing new family traditions, as her mothers’ family were Italian immigrants. Meeting my future sister-in-law’s Italian grandparents was an exotic experience whose memory remains vivid. I was completely mesmerized by Nicola and Victoria or Nick and Vic, as they were affectionately called. They were both quite the characters. My favorite tale about Nick was about his return from a visit to Rome, Italy, his place of birth. He allegedly arrived with tomato seeds and vines sewn into the lining of his trousers and jacket pockets of garden varieties that he couldn't access in Southern Illinois. I was intrigued and drawn in. Sometimes in the telling of their stories and general conversation Nick and Vic would get quite animated and drop into rapid fire Italian, whose feisty tone I could only guess at what they were discussing so passionately. It was lively perhaps a bit forbidden, but they were colorful and interesting and I loved it. Going to Nancy's family for a big extended family meal was a new adventure. They served lasagna and super garlicky salameats (which I have a sneaking suspicion is a new world pronunciation of salami) with crusty rolls that you could only get from Luigi's market. These dishes I had never tasted before and Nancy’s family even enjoyed wine with their meals. Wow. My parents were complete tea totalers. Nothing wrong with that, but it was unexplored territory in this new branch of my family that my brother had married into. Victoria, Nancy's grandmother, was famous for her meat ravioli. 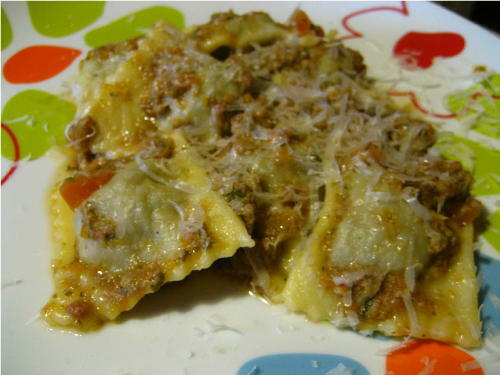 These ravioli made their appearance for special family occasions and always mentioned with reverence and affection. I just knew that making Victoria's ravioli was something magical that mere mortals like myself, a non-Italian to boot, could never master. When my brother Jim graduated with his masters’ degree, Nancy held a little dinner party for family and friends in celebration of his accomplishment. It was quite a day, because Nancy was making her grandmother's legendary ravioli. She had learned by making them along side her grandmother Victoria. We all pitched in that day and helped. It was great fun, and I've never forgotten it. For some odd reason most of my adult life I seemed to have thought that I couldn't' make ravioli. That you had to have a special family recipe and you had to have an Italian gene to really be able to make them. Funny how we get things into our heads and it takes forever to sometimes even realize that it's even there. Funnily enough, I even use to make fresh pasta regularly at one of the restaurants that I worked at, but we didn't really take on filled pasta, though. Pity that. 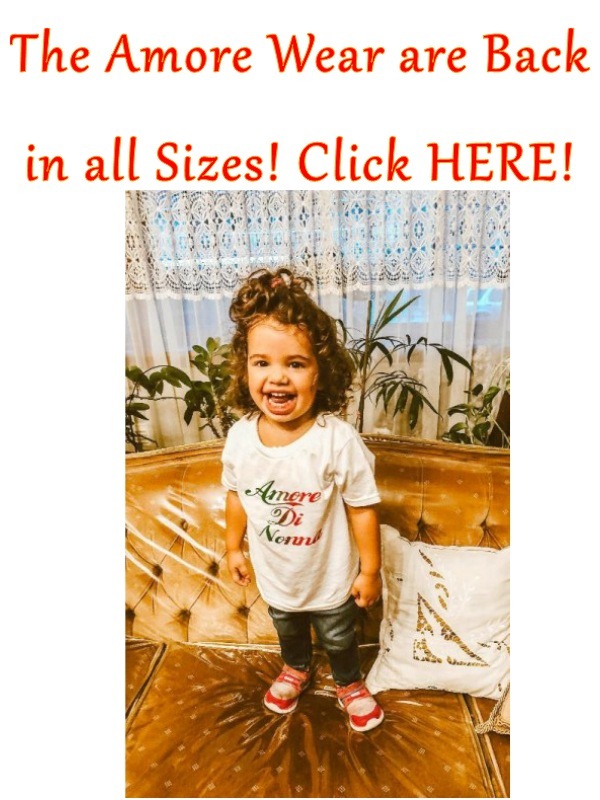 It wasn't until I came to Italy to live that some of these myths started to be dispelled. I don't have an Italian gene, but I do have a natural interest and I have learned a trick or two while I have been here and the mystery of making pasta isn't so mysterious as it once was and it isn't sooo time consuming either, once you get the hang of it. My mother in law even came over so I could help her make the pasta dough for her ravioli or agnolotti as they are called here in Piedmont. A few years back when I first made Grandma Denzio's agnolotti, the first thing out Fabrizio's mouth was, “these are just like my Grandmother use to make.” My in laws said they same: high praise, high praise indeed. 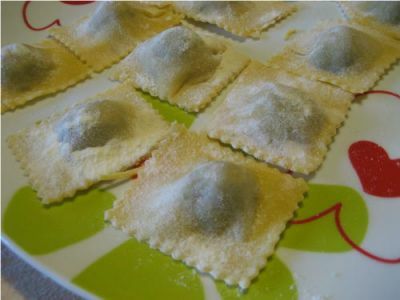 These agnolotti are special for another reason too, Grandma Denzio and her family were originally from Turin, which is the province I now live in, my husbands’ homeland. This truly is an authentic Piedmont’s family recipe and my native Val Chisonian family completely agrees. How interesting that all these years later I find myself living in the heart of Piedmont and the Turin Province, a simple twist of fate. If you want to make a large batch of agnolotti for a crowd, then this special recipe is for you. These also freeze well for future use. You may want to enlist some help to make it go a bit quicker, or make a few family memories of your own. I've never forgotten that ravioli-making day with Nancy, my mother and youngest brother. Nancy made it special. Her willingness to share of herself and her family makes it just one of many reasons that she is such a great sister in law. She has been my sister a lot longer than she hasn't. So this post is dedicated to my half Italian sister-in-law, Nancy with all my love from all the years of friendship, love, and generosity of spirit she has brought to our family. No, Victoria Argenta Denzio wasn't my grandmother, although I wouldn't have minded. Thank you Nancy for sharing your grandmother and her legendary ravioli recipe with me. I'm now sharing it with all of you. Please make some memories too. This recipe makes a lot! It will easily feed 10 people or more. I have given here recipe in American measurements. I have adjusted it here in Italy to grams and local cuts of meat and ingredients, just as I am sure Victoria did when she made them in America. Fry the meats all together in frying pan with the oil, butter and garlic. Saute the rice with half of a small onion. Cook with water normally and set aside. When the meats are done, cool enough to handle. The meats, spinach, and rice all go through the meat grinder. Then I added 4 eggs and the grated cheese. I then adjusted the seasoning with some salt and pepper. It needs to be a dry, moist and flavorful filling. 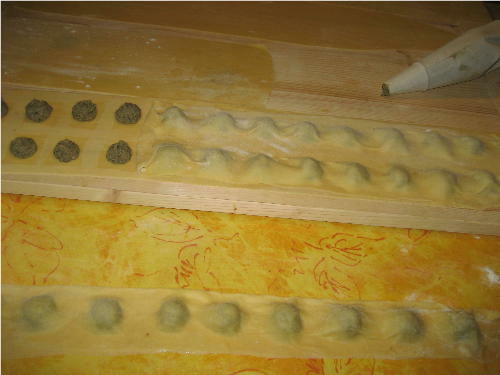 I filled a pastry bag with a plain round tip to fill the pasta. This will make a soft dough. Roll out thin placing filling 1/2” apart on dough. Drain and add your favorite sauce. Traditionally, served with a meat ragu sauce. I, of course, tried a little local variation. You take the meat juices and cooked vegetables and run it through the food mill for a passata. Often it is served just like that and called Salsa dell' arrosto. It was tasty, simple and used everything up. These were a big hit with my family. I hope you enjoy them with yours.